Nowadays our lives are entirely dependent on technology. Our phones do more than 90% of our daily jobs from paying bills to make an online reservation. When there is so much involvement with technology, There should also be the safety of our data. There should be proper services available to maintain our privacy and security of our data. Our advice is to keep a backup of your data using these android apps. It is advisable to keep a backup of your data in your PC or laptop, But not all apps allow you to do it. The apps given below allow you to keep a backup of your Android data easily and save it on your PC. The list of best backup apps for android is given below. App Backup Restore is rated number 1 on the list because of its ease of use, Features and ability to take automatic scheduled backups. The app has many plus points but it also has some minor downsides too. Lets have a look at the pros and cons of App Backup Restore App. Backups everything including APKs, Contacts, Messages, Gallery etc. You can save backup file on cloud or your SD card. App Backup Restore can not backup actual app data. It can only backup APK files so that you don’t need to download them again after you factory reset your phone. 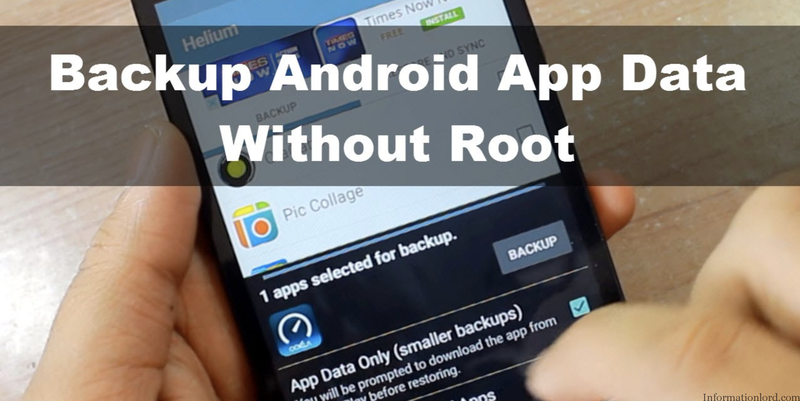 If you own a rooted android phone then Titanium Backup Pro is really a good pick for you! Unlike other backup apps Titanium Backup receives frequent updates. Though Titanium Backup pro version costs $5.99 you can still download titanium backup pro apk for free. We have listed the pros and cons of the app below. Stable for every android version. Has tons of features like Auto backup, uninstall unwanted system apps, Backup apps with app data etc. One click backup and cloud storage also available for pro users. Might be a little difficult to use for new users. Not everyone has adequate technical knowledge to use such apps. If you are aware about basic how-to’s in an android device then this app is the best pick for you. Most of the backups are done using file manager app which can be saved to your pc or cloud. But, As the name suggests you need to manually save the data and upload it on the cloud. Backup your data using file manager and contacts and other things using their respective apps. Easy to save backups and locate your files. Requires a bit technical knowledge to operate. The app does not provides automatic backup. If you are a normal android user and require almost all backup features in a single app. Then this app is the best pick for you. Super backup pro app contains almost all features you probably want. Lets view some pros and cons of the app quickly! Really easy to use app, with a simple user interface which includes buttons to backup contacts, Media, Apps separately. Schedule automatic backups and save them on cloud, or your pc. Setup backup path to save your backup at your desired location. A few bugs were reported in the app by some users but they have been fixed now. Another awesome app developed by Google. Google Cloud Saving automatically backs up browser data from chrome, Firefox and other browsers as well. The app is usually installed in the stock in most android phones. It is an all in one app which has functions of many other apps. Like the last pass, it can backup your login details. Available for free and inbuilt in many android phones. Backs up everything including app data and another very minute thing. Also backs up your saved passwords and other forms data. User Interface is really complicated. There might be many other useful apps to take backup of your important data. If you want to see them here with review, then let us know in comments. If you are facing any issues regarding any app, then feel free to ask for the same.